Smith specializes in Israelite religion and the Hebrew Bible, as well as the literature and religion of Late Bronze Age Ugarit. He is the author of 15 books and more than 100 articles. 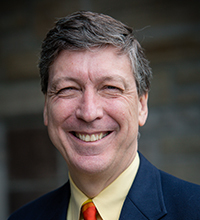 His current research includes a commentary on the book of Judges co-authored with Elizabeth M. Bloch-Smith, which is to appear in the Hermeneia commentary series.